Zayyad Nasidi Mohammed, is a graduate of Economics and Criminology from the University of Manchester. The youth who also holds a Master’s degree in terrorism, international crime and global security from Coventry University in the United Kingdom runs the ZNM Foundation that helps to identify needs and gaps within less privileged communities and works towards inspiring positive changes. He shares his experience on this objective so far in this interview. You returned to the country to champion a progressive foundation. What informed that? I am a very simple and down to earth individual who aims to make an impact everywhere I go. I am very passionate about football and giving back to those who are less privileged than I am. Things are not so great in the country at the moment, so it is imperative that we realize that it all begins with each and every one of us. It all begins with the ideology from Gandhi, “be the change you would like to see in the world around you”, and this is my motive for championing a progressive forum. This is why I started the ZNM Foundation. What is the nature of the hurdles you face in reaching more people across your target communities? I do face challenges, some days more than others especially when it involves distributing relief materials to a large number of people at the same time. What projects is the Foundation working on? At ZNM Foundation, we are currently working on the ‘Back to School’ campaign for kids. This is for kids who are currently out of school for some reason or the other but mostly because of the prevailing level of poverty in the country. We are also building good and stable water sources in communities and villages. We also do outreaches in the IDP Camps by feeding as many people as we can. We offer others the opportunity to volunteer or collaborate with ZNM Foundation on our projects. At ZNM Foundation we believe in fostering solid relationships with positive and dynamic individuals. Could you describe some of your extra-curricular activities? I enjoy travelling, I believe in the saying “Travel is the only thing you buy that makes you richer”, I also enjoy reading and watching football. At your Foundation, have you been able to employ any youth? We currently have 19 permanent volunteers but when we go out on projects we get people coming to join us and volunteer on the projects. Do you have any immediate plan to expand the Foundation’s reach? Getting the ZNM Foundation current projects running on a larger scale and also adding more projects under various schemes and expanding our reach from our current primary area. In the face of rising unemployment, do you see any chance for the youth to succeed in Nigeria? Yes, of course. It is very important that we learn how to support each other. Innovation is a gift greatly appreciated and welcomed, we can collaborate with others to support their dreams and visions. What would be your parting words for fellow Nigerian youth? Do not just wait around for things to happen, YOU have to make them happen. It is very important that you understand yourself and who you are, do not just go with the crowd, because that would just lead you to a dead end and if you keep waiting till you save or gather enough support, then your dream may just end up being a dream. Always strive to add value in whatever situation you find yourself. Nothing is impossible!! 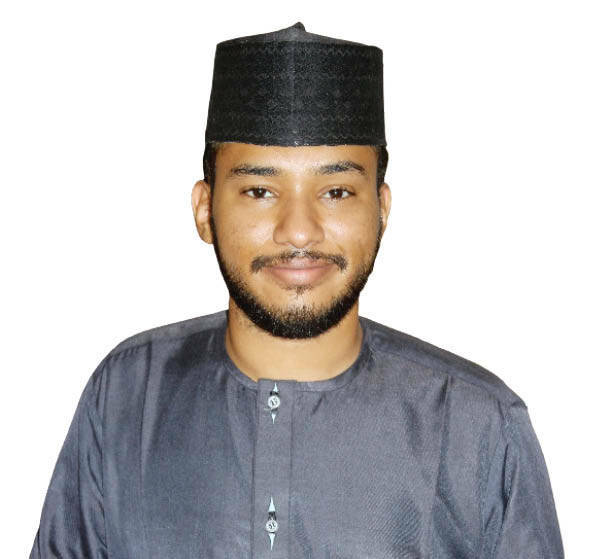 Zayyad is the recipient of the Nigeria’s 25 under 25 award for the Social Entrepreneurship category.